My first book is available through Amazon, in paperback and Kindle. You can also pick it up at Smashwords as well. We would very much like to carry your book (which both Bob and I have read and love) in our bookstore. Is there a way to order it on a wholesale basis? We know that our customers would take what you have to say very much to heart, and you would “fit right in” with the other books we carry. On a personal level, I would like to thank you for writing about your life and for the very fact that you have persevered to become one of most helpful voices among those addressing autism. I am very grateful that you are here on earth with us and that you have found a way to be heard. We have a grandson who is autistic — your book has helped his family help him so much better. Bob & Nancy’s Services, Inc.
You can get the book wholesale through what Amazon’s publishing house, Createspace, calls Expanded Distribution. 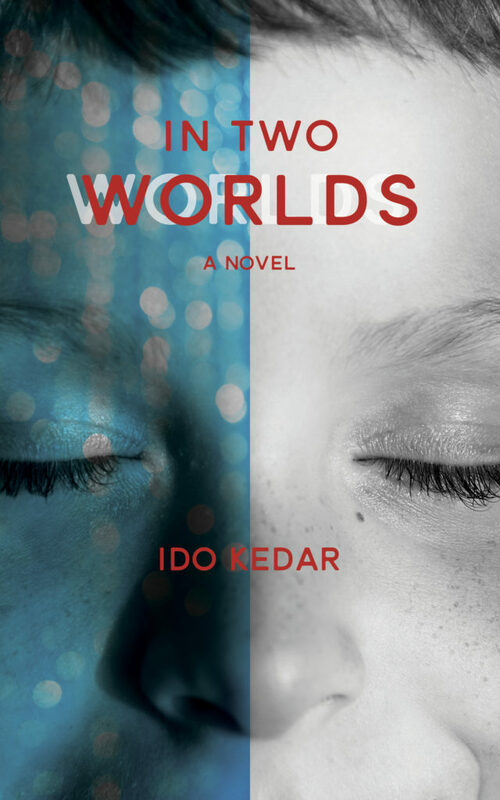 To be perfectly honest, I am not sure exactly how it works, other than this is available for bookstores and libraries for purchasing through large distributors who have access to this service, which is available for Ido’s book. It was a pleasure reading about your story, about how Ido managed to communicate with you without any physical help from you. KEEP IT UP!! GREAT JOB! My son is also autistic with the condition named PDD and from our judgement he is very similar to Ido. At the age of 2 he was diagnosed with this condition and now being of age 13 he made a lot of progress communicating with me via a keyboard especially that of a tablet. At school, his teachers did not understand him and therefore he was feeling trapped inside his feelings without him being able to express them. Thanks to precious hard work, we were able to make him communicate with us with me and only me holding his shoulder. He told us that he receives energy when I touch his shoulder. Unfortunately, our educational advisors are not believing him that he is typing what he wants because of me controlling him via his shoulder(something which is obviously not true). Do you have any advice to us on how he can type without my physical help? Thanks a lot and KEEP UP THE GOOD WORK TEACHING PEOPLE ABOUT AUTISM!! Contact http://www.halo-soma.org. Even if you can’t get to Texas they can probably refer you to trained people who can work with your son near you. Soma Mukhopadhyay also has some books that teach her methods available on Amazon. I read your book and am interested in doing a book report on it for my English class. My teacher says that if I have more information about your family or have a way that I can ask you questions. 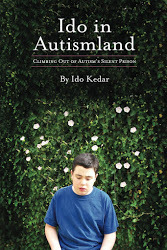 You can write to Ido on Facebook, idoinautismland. Is this a high school class? Yes this is a high school class. My teacher wants me to learn more about his doctor’s diagonois . I do not have a facebook . My teacher wants me to get more about his parents view. Today I will get the rubric. Does Ido have a college email where he and I can email. I go to Horizon High School part of Paradise Valley Unified School District. Describe your son’s infancy and/or childhood. When did you notice something was different about the way your son related to his environment or to other people? What would you like others to understand about autistic children like your son? What is something beneficial about having a child with this inclination? My Teacher Jay Parizek will private message you through facebook and print them off for me. My Teacher Jay Parizek will private message you through facebook and print them off for me. Thank you so much. Thank you for sharing your thought and wrote this book. I live in Indonesia and have a PDD Nos or some may say mild autism spectrum 5yo son, who still non verbal. It frustrated me a lot when i cant understand what he want when he got tantrum and cried. He surely get ABA and speech therapy. He is very handsome and nice boy, and we loved him so much. Now i had pre ordered your book, and cant wait to read. I want to understand my son more. I send you lots of hugs from here, again thanking you and you parents to share with us your book to help us understand more our special children. Can you let me know how I can contact you regarding the conference I am planning for next year? I would like to communicate with you about presenting there, and possibly get your help/feedback on the program content. I applaud your courage and bravery, and I thank you for your honesty. I’m messaging you to ask that you consider writing about your developmental journey. Things that “typical” children also struggle with are even more difficult for children with ASD. Although everyone’s experiences are different having your insight on issues such as potty training, hair cuts, social engagements, tooth loss, dentist appointments, puberty, sleeplessness, puberty would be eye opening to so many parents and caregivers. I’m a parent of a 9 year old boy with Autism, who has limited vocabulary. I just found out about RPM because there are a number of parents here in Ireland using it and seeing amazing results! One of the parents told me about your book and I recommend it to any parent who is doing ABA, diets or any of the other numerous interventions out there. When I started on my journey with Autism, I was given a common message of early intervention being vital if your child is to emerge. After a certain age the chances of your child emerging is limited they say. ABA is listed as the only intervention that has data to back up results and for some reason 40 hours of intervention per week is recommended. So the pressure is enormous on you and ultimately your child to go at it hammer and nail. Of course I went full on with ABA, PECs etc. with some diet and other interventions thrown in for good measure. There were some improvements but given the amount of time and energy we did not see the results you would expect. You see your child isn’t happy with it but you keep going because you are told these are the tools that work. You have a nagging doubt that if your child is not improving then you are just not trying hard enough rather than thinking that perhaps this is the wrong approach. So your poor child is subjected to more and more of the same. To quote Albert Einstein, Insanity is doing the same thing over and over and expecting different results. So eventually I looked at and listened to my child. I could see that he was happiest out in nature, loves the beach, loves swimming, loves walks and loves his scooter. Enjoys his iPad games and Disney movies. Loves going new places and is curious about so many things. I began to realise that if I want my child to emerge and join us in the world I need to make the world worth joining. So we began to do more of the things he enjoyed and a bit less of the other stuff. At 9 years old he is in an Autism class in a mainstream school, still tracing letters but can now recognise letters and numbers. Pretty much doing what a 4 year old would do. There are tears at homework time but to his credit he works through it with me. I can’t help feeling that like you were at his age, he is screaming inside! So, all going well, we are hoping to attend an RPM class this coming March. I’m hoping this is the key to allowing my beautiful, loving, clever child to finally be able to tell us what is going on inside. After reading your book I have renewed hope that this will be the answer. It makes so much sense and I completely get it. Many, many thanks to you and your mother for taking the time to share your story. And to Soma and Tito. It is a long time since Phyllis replied however I note you are in Ireland. I am in UK and our grandaughter is recently diagnosed at 2 years. I’m concerned about ABA and even more so after reading more here. I am now looking to find out more about RPM and would welcome any contacts from anyone for RPM for 2 year old in Scotland. Thank you Ido, you are truly amazing and thank you Phylis for sharing. God bless you all, we are all here for a purpose each and everyone of us. Please check out the Unlocking Voices facebook group based in the UK. PLease check out the Unlocking Voices facebook group which is based in the UK. You are our hero. You said it all for us and my fasinating (non verbal) 13 yr old son who is a lot like you. Although he can write/type very well and comprehend beyond his grade level, he does not have the attention span to read a book on his own (he can certainly read). I was wondering if you are able to read books without a facilitator or if you have any advice for us. Thank you! Visually it can get overwhelming. Practice with sentences or small paragraphs rather than a whole book at once. Audio books are really helpful too. Thank you for inspiring us daily. I hope you enjoy reading responses from Davis! We are thankful for you daily. My seven year old son’s first grade teacher just recommended your book to me. She says a parent gave it to her last year, and she cried for some of her students from years past. She changed the way she teaches. Because of you, she has moved my son past ABCs and 123s, and he is learning addition and reading now. Now that he’s more interested in the material that is presented to him, he has completely stopped throwing in the classroom. Thank you for telling your story to the world. So much of what you describe is familiar to me. For instance, there is the difficulty in learning to button his shirt, compared to the ease of learning to take everything apart with a screwdriver. P.S. He has Lyme and PANDAS, and after starting treatment for the Lyme, he became able to round his lips and make an “O” sound at will for the first time in his life. He is also able to open his mouth a lot wider, and he moves his tongue a lot more. His smiles are bigger and come more easily. I have found that Bartonella, a Lyme co-infection, is a huge cause of his anxiety. PANDAS is another huge cause. Babesia, another Lyme co-infection, also makes a contribution to the anxiety. He has never in his life had the characteristic acute Lyme symptoms — i.e., no Bulls eye rash. He’s also never had a positive strep throat culture in his life. First I just want to say thank you for writing this book. Thank you so much. The book was introduced to me as required reading for a class I am taking that looks at special needs such as autism along with other disabilities and how to better reach people with them in education. Your book has been an inspiration to all of us. We all love the insight that you have given to break the stereotypes of autism. The book has open a lot of minds, it’s great. We would all love to contact you somehow (my teacher even asked to see if there was a way that we could communicate with you somehow because that would be great). Nonetheless, you have taught us bunches so thanks. – Lisa, senior student in college. Great book! We would like to buy ~50 copies for the staff at our 16 yo son’s school (Morgan Autism Center in San Jose, CA). What’s the best (and least costly) way to do that? Thank you! You can buy in bulk for a reduced fee through Amazon. It is called expanded distribution. I have just come across your book and am very excited to read it. Just wondering if there is an arabic translation of it? I noticed there a was a Japanese translation. No, it has never been translated into Arabic. Thank you so much for your kind words. Of course, you have my permission. I wish your grandson great success in his new school. He is fortunate to have such a supportive family. I just want you to know that I buy your book by the dozen to hand out to people who ask me about how and why my son (11) is learning to spell to communicate. Your words have literally changed his life for the better. He is my hero, but you and Soma are on a short list after that. Thank you for sharing your wisdom, and helping us clueless parents to better understand what we can do to support and honor our kids. I’m touched and honored. I’m sure he will thrive. Hi. Let me say first that your book has changed our family’s lives forever. One cannot love an autistic child and be un-changed after hearing Ido’s words. To Ido and his mom, thank you for being brave, honest, raw and real. My dad (my son’s grandfather) would love to read this book, but really needs a large print version. He had a cornea transplant a few weeks ago. Is a large print available? Thank you! Thank you so much! I am so glad the book helped you and your family. Unfortunately it’s not available in large print. Ido, I am the mother of Hannah, 14 years old, and semi-verbal autism. She used to be non-verbal but does have some words now. I have just discovered RPM and we are starting May 5th. I have always believed she was locked in but I didn’t know what to do! I have been sobbing through your book. You are such an inspiration. You have been given so much suffering but you have turned it into a gift that you give others like myself. I have been talking to Hannah about RPM and you. She is behaving more hopeful and is more affectionate towards me already. Oh the power of hope! Thank you for not keeping all of this wisdom and experience to yourself and teaching so many of us about Autism and what goes on inside your brain and heart. God bless you always. Thank you. I am honored my book has helped you and Hannah. I’m psychologist and brazilian and I ‘m wanting to read both of yours books: the first one and the second one. I’m studying about autism in the university and your history touched me a lot so I want to to write based on your history. Since I’ve discovered your blog, I am reading and loving it. Unfortunately, here in Brazil we can’t buy in the Amazon of US. Would it have another way for me to read or buy your books? Thank you, I’m waiting with joy for your answer. Yes, they are both available on smashwords as an e-book. We hope to eventually see the first book in Portuguese as well. Have you thought of starting an organization dedicated to setting other people with autism free? I think you would be a great spokesperson for autistic people.. You could call your organization “Autism Rescue”. I admire your spirit. You never gave up even when you had to do very hard things. You kept pressing on and didn’t give in to fear. Your spirit could be an inspiration to anyone facing hard challenges. If you would like any support,I like to write and I could help where I was able. I am a special education teacher who home schools a 9 year old boy with Autism. He has few independent verbalizations. We are doing some amazing work with neurotherapy and RPM from Soma. We are seeing great results! I am finally able to teach him a curriculum! I am grateful for his mother who found you and introduced me to your first book. I love your work and thank you for helping me shift the view of how things need to be in special education. I hope to make the student I work with apart of the statistic of thriving children with Autism! I would like to get your book for the other teacher that works with him. How can I find it in Spanish? I have just finished reading Ido in Autismland, and as the principal of a small school in the north-west of Tasmania with 2 students with Autism, I would like to say a huge thank you for writing your book. It has COMPLETELY changed the way I think about Autism, and the possibilities and futures which exist for my students. Every day I have been turning up to school and sharing with my staff more of what you had written and they are now all lining up to read your book too. Thanks so much for writing. I am excited I am helping in far away Tasmania.i hope you will read my new book as well. It will take you into the true autism experience. I commend you on helping your students.